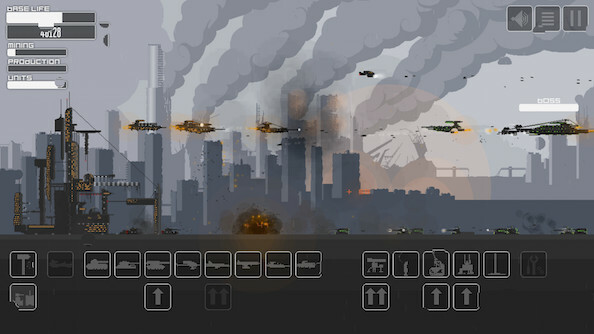 Age of Steel: Recharge is a classic 2D tower defence game that places you in the role of a commander of a military base that must be protected at all costs. Taking place in a world ravaged by war and a lack of resources, you are the leader of The Alliance, an army dedicated to protecting the remnants of humanity and human knowledge from The Opposition (imaginative, no? ), who believe that a new, peaceful society can only be created through destruction of the old one. No pressure. Utilising a variety of vehicles you must improve your base and individual units in order to expand your army and rebuff the waves of enemies. In Age of Steel: Recharge you’ll be bombarded from three lanes – air, land and sea – so you must channel your inner General Patton in order to successfully manage your fleet to victory. Once you’ve stomped your opponents in the single-player campaign, Age of Steel also features an endless wave survival mode for you to tests your wits against. We’ve got 200 Steam keys of this militaristic strategy game to give away, and all you need to do for a chance to win is enter in our widget below. Every action you complete is worth one entry into the giveaway, and the more actions you complete the more chance you’ll have of winning. We’ll also need your email address so we can send you a code upon winning – no spam, we promise!